This has been a breathtaking trilogy, and I’ve learned so much from it, harsh yet beautiful landscapes, a family saga that’s so real, so full of tragedy and yet such happiness too, and nature and wildlife explored as certain parts of the story demanded. I love trivia, have a mind that just soaks up facts like a sponge ( mum used to say I was a mine of useless information – it hasn’t changed!) and there’s so much here I had no idea about. Its a world far away from here in the UK, and I felt absorbed into a different culture of times past. I loved the first book, taking us back in history to Rebecca and Samuel’s story, full of the awe inspiring icebergs and the harshness of life as it was then everywhere, and especially so in such a sharp climate. It made me cry in parts, the emotion was so deep and real, and book two followed that up with the story continuing with Rebecca’s children and more tragedy, but timely nuggets of joy too – its not all doom and gloom, angst and anger. This time we’re still with the children in part but mostly with Rebecca’s daughter Evangeline ( Gene/Eva) and granddaughter Lindsey. I’d forgotten all of what Gene went through in book two, but as I was reading it came back to me, though I want to read all three books back to back sometimes so that the story really flows. I was a bit harsh and judgemental of Gene until her backstory came to me, and then I felt so much, for her, for Sonny, her siblings, for Rebecca, and of course her two daughters who she’d left when they were so young. There were some huge surprises to come out of this book, a long journey for Lindsey of searching, and in doing so she found herself too, and her future. I loved catching up with the whole family, and seeing the story from both ends, seeing how adversely affected Lindsey had been by her mothers defection, and yet how Eva/Gene saw what she did in a very different light. As I got to remember her I also recalled her sad history, the way she struggled, the way she looked at things and I began to understand why she did what she did, not from selfishness and uncaring motives but the very opposite. I so felt for her even when I also was upset for her family. The doctor Lindsey saw was really good, making her look at her past, Eva’s past in a very different light, and that allowed me to see things differently too. When I got to The End I was sad, and wanted more, and then to my delight I found Sherryl had given that in an Epilogue. 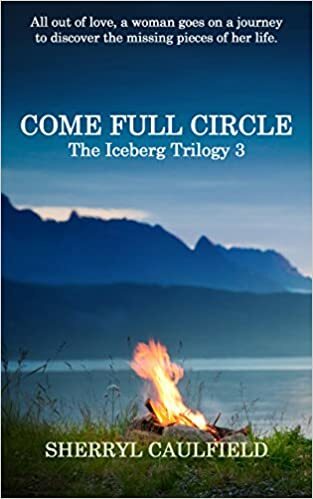 That wrapped everything up perfectly and really did complete the circle, with evocative memories of book one and the people in it and reminders here of just how entwined they, and we, all are in our pasts. Its full of the same fabulous writing, rich language used to its fullest, words that fit so well even though they’re rarely used as the first two books. I love novels that do that, English is such a beautiful, descriptive language and yet the same few words come up again and again – I’m guilty of that, even though I love this literary articulation I can’t do it, I just can’t think of words that really fit, and usually descend to an online thesaurus when really frustrated…..Some authors try it and it feels stilted, artificial, wrong and they really should stick to simplicity, but Sherryl has a real mastery over words, and it adds such a different perception to what’s written at times, having just the right phrase. Stars: five, a superb ending to an emotional family saga. It’s such a complex story that you’ll get the best from it having read books one and two first.